New Delhi: Government of India has started the process to fill up the post of Minister (Economic) in the High Commission of India in London. The post of Minister (Economic) in the High Commission of India in London is at the Joint Secretary level under the Department of Commerce. The officer must have been empanelled to hold Joint Secretary or equivalent post at the Centre. The officer must be at least three batches below the batch next to be considered for empanelment as Additional Secretary to the Government of India. The officer must have worked for at least two years at the Centre under Central Staffing Scheme. The officer must be clear from Vigilance angle. The officer must not have been debarred for Central Deputation. to officers who have ‘Outstanding’ service record with a grading of 8 and above. The officer must be below 54 years, as on the date of vacancy. The officer must not have been on an assignment to foreign/captive post of Government of India earlier. The officer should not have been nominated for foreign training or should not be on training or foreign assignment, currently. The officer must not be on study leave or long leave. The officer should have prior work experience of Commerce or Agriculture or Industry in the State Government or in the Government of India. 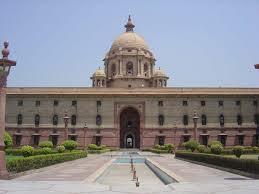 The officer should have experience in an Economic Ministry of the Government of India. Experience and/or familiar exposure to international trade. Experience in bilateral/international trade negotiations.